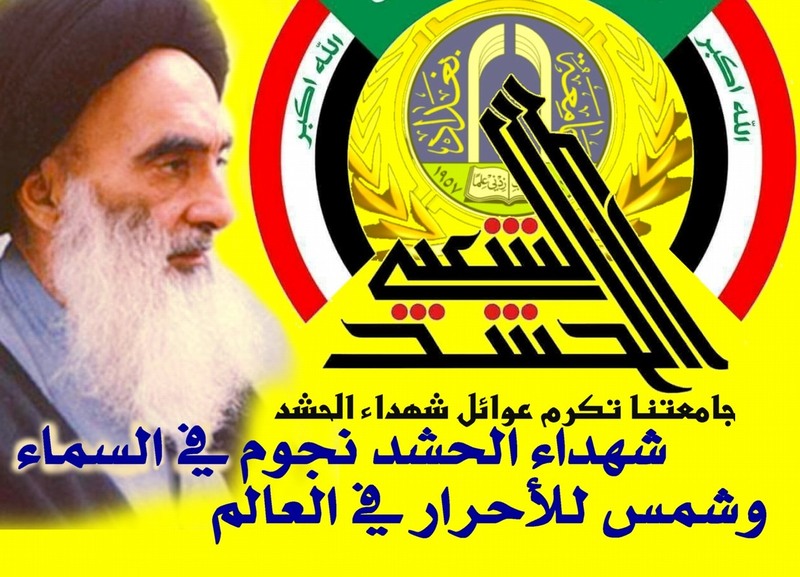 Altruism and sacrifice that are implanted in the Iraqi soul for the sake of the nation have reflected the considerable impact of progress, development and stability in society, education and in the Iraqi universities through standing up against the terrorist attacks and in defending our homeland, so the popular crowd remains always in the foreground to combat and resist the enemy as an embodiment of all the meanings of humanity for all freemen all over the world to be a symbol of pride as their leader Imam Hussein ibn Ali Ibn Abi Talib (PBUH). 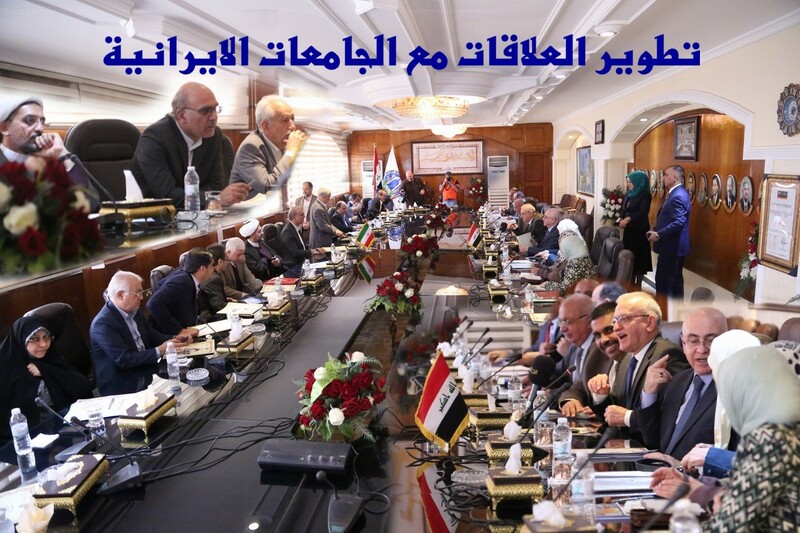 President of university of Baghdad, prof. Dr. Alaa Abdul Hussein stated that the heroes of our army are combating the terrorist gangs and evil forces in the contemporary history in a scientific event at Baghdad University when he honored some of the families of the martyrs of the popular crowd who sacrificed their souls. This scientific demonstration was held under the banner “we sacrifice for the sake of people that honor the martyrs and their families” which was attended by prof. Dr. Alaa Abdul Hussein, the university president, the representative of the popular crowd, prof. Dr. Riyad Khalil, the administrative assistant, associate prof. Dr. Faisal Ghazi, director of the center for continuing education, the teacher Basim Hamid, director of the university website and a gathering of students and members to support those families that were a symbol of pride and altruism. The ceremony was followed by a symposium entitled “widows and orphans and how to care for them and address their problems” that was held at the center for development and continuing education hall in solidarity with the popular crowd. The team of the university website and TV channel office accompanied this academic event and documented it with photos and video scenes. Many scientific literature, studies and researches are included in our prestigious university libraries that serve society and humanity and one of these literature is a book entitled “Introduction to modern football tactics” authored by the Chancellor Dr. Kazem Al-Rubaie, a former coach of the national football team and professor of physical sciences at the faculty of physical education which is a book which received the attention of many figures concerned with sports at the international level for dealing with new scientific theories in football, so that we will address the most important topics in detail. The number of pages of this book is (180) where the first chapter gave a brief history on the evolution of football plans that form the basis of knowledge of the tactical action, while in the second chapter it talked about individual and collective defense tactics. Chapter III dealt with attack, renegade attack and the importance of playing on the wings whereas chapter IV was dedicated to offensive tactics requirements and weather conditions (rain and winds) and their impact on tactical applications and the playground nature also it included dozens of photographs and illustrations. The university website unit interviewed with the author, Dr. Kazem Al-Rubaie to enrich the subject and shed some light on the strong relationship between the theoretical and practical culture of football since the profession of football coaching is based on two influential facts that are scientific knowledge and field experience to be added to the distinctive talent and it’s not enough that the coach should be an academic professor without any field experience to be a successful coach. 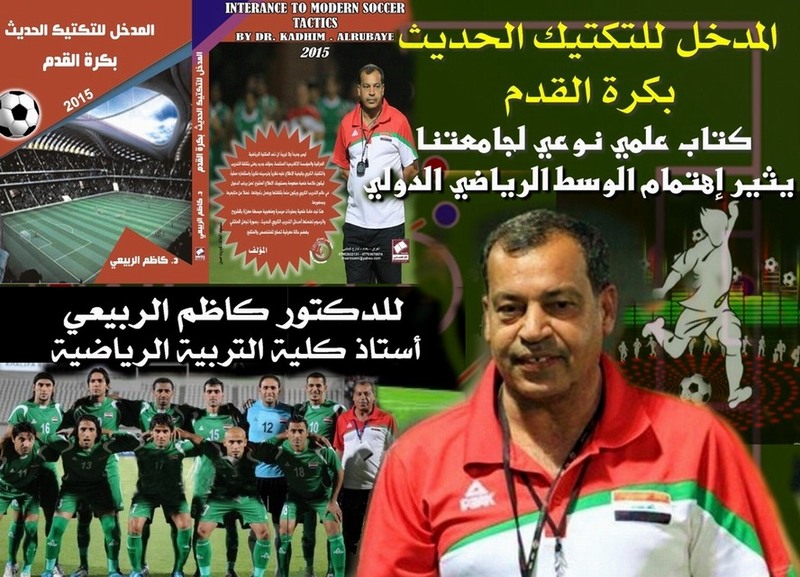 The motives that led Dr. Kazem to write this book “Introduction to modern football tactics” are disinterest in the planning side by many coaches that inspired him to author this book in follow-up of previous literature by his fellow authors and the duration of preparation and writing of this academic achievement took him many years of practice as a player, coach in Iraqi, Arabian Gulf and European stadiums, clubs and national teams and as an academic expert and a professor at Baghdad University. The university website cared with this publication that was dealt with in during a special ceremony held by the Iraqi Trainers Association for signing this book attended by top Iraqi athletes, especially in football, including an article written by the journalist Menem Jaber in “people” newspaper that talked about a lot of preliminaries and details of that book and praised his efforts for supplying football players and fans with this literary composition. 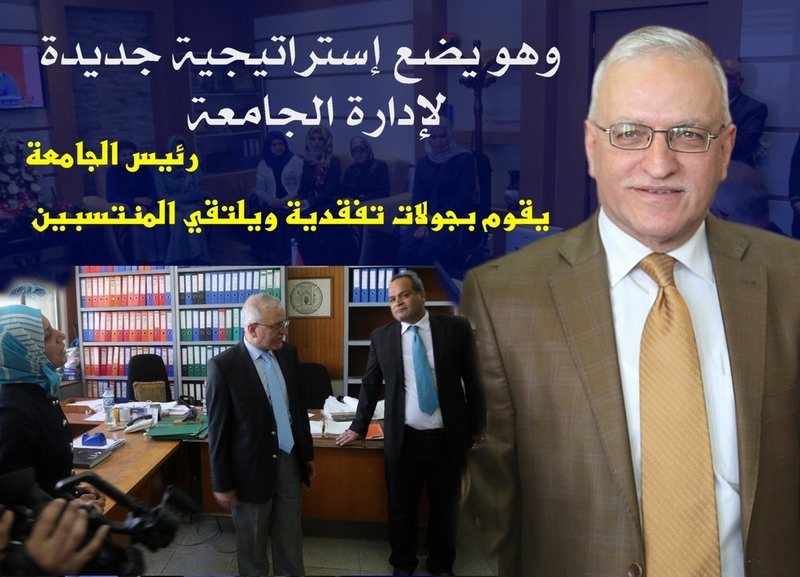 Baghdad University seeks through all its scientific outlets to find substantive opportunities for improving scientific curricula and academic education, so that it establishes cultural and scientific relations to find outlets for more academic and scientific projects, including developing relations with the universities at the developed world such as Iranian universities for its expertise in the field of science and technology with which our university is striving to improve education and curricula. The university of Baghdad has conferred with a high-level delegation of Iranian universities at Baghdad university council in the presence of prof. Dr. Fouad Qasim Mohammed, undersecretary of the ministry of higher education for scientific research affairs, undersecretary of Iranian ministry of education and the president of Baghdad University, Dr. Alaa Abdul Hussein with the deans of the colleges of engineering, science, Al-Khwarizmi college of engineering, college of education for women and college of science for women. During this meeting matters of the mechanisms of development of relations were addressed to find ways to develop missions and fellowships for scientific research as well as exchange of experiences between the two universities, particularly in the field of nanotechnology, biological and mechanical engineering and other scientific specializations also the university’s president has exchanged with the Iranian delegation gifts and university shields and the Iranian delegation was invited to a luncheon at the university headquarters. 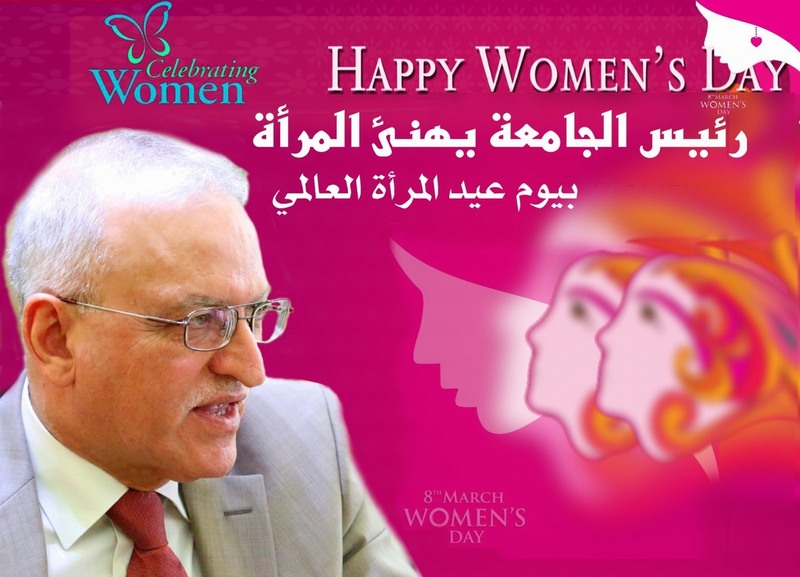 University president congratulates women on their international women’s day. To improve and develop the performance within the university formations and departments, Prof. Dr. Alaa Abdul Hussein make inspection tours from time to time to make sure of workflow and accuracy with the university arrival at the final stages of university governance, so that the work would be based on a modern perspective that keeps pace with and accompany global aspirations. This entailed intensive follow-up and persistence in many fields along with the progress of the era since the university president dedicated his efforts for adopting many ideas and ambitions. From the website, the university president launched his tours and met the website team where he discussed many important issues for strengthening and consolidating the website world ranking in the presence of the editor of the website, Prof. Dr. Abdul Basit Salman and director of the website division, teacher Basim Hamid. Also he met members of planning and follow-up, university identities, information, cultural relations, artistic activities, engineering and scientific affairs and other formations at the university, accompanied by Prof. Dr. Riadh Khalil, assistant rector for administrative affairs. Website team and university channel office accompanied this visit and documented the tours and the interviews with a range of video and photo scenes.